Since 1977, Blue Ridge Mountain Woodcrafts has been a leading wholesale supplier of quality awards components. We proudly manufacture our extensive line of PRO-WOOD products at our plant in Ellijay, Georgia. 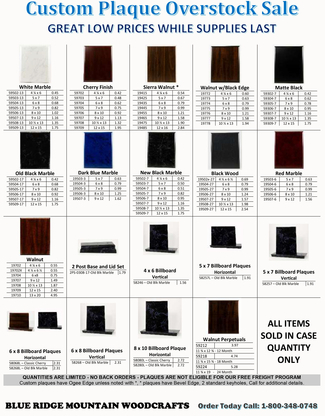 We also offer a wide variety of solid wood products and other award components. 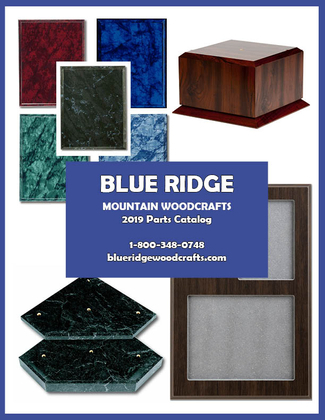 Blue Ridge Mountain Woodcrafts works hard to earn your business by delivering high quality products at competitive prices with quick shipment and great customer service. We stock a large selection of products and our goal is to ship orders the same day they are placed.